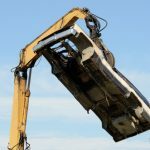 What Is Your Junk Car Worth at a Scrap Yard in Detroit? Want to find out your Junk car worth? The average lifetime for a car in America is just under 11.5 years. That equates to a lot of payments, repairs, insurance premiums, and incidentals even to keep a junk car running safely and smoothly. Your vehicle is an expensive requirement during its lifetime, so why shouldn’t you get everything you can out of it? That doesn’t necessarily include trading it in for a newer model. Why? Because chances are the car lot or buyer is just going to scrap your vehicle anyway and pocket the cash that you’ll be paying in inflated new car payments. But what is your junk car really worth to the right scrap dealer? That depends on the condition of the vehicle. But here’s a basic breakdown of what treasures could be present in or on your clunker. Platinum is an incredibly valuable resource and is considered a precious metal due to its scarcity. Few people realize that platinum is often hidden in plain sight in their junk car. If your vehicle is old enough to have a catalytic converter, chances are it contains platinum. Even if there’s no platinum involved, chances are your catalytic converter still contains palladium or rhodium, both of which are also quite valuable. 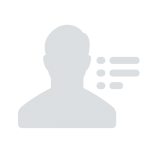 These metals can be reused over and over making them especially worthwhile to professional scrap dealers in Detroit. Batteries are extremely toxic to the environment, especially when left to degrade in a landfill. However, newer batteries can be sold or reused making them rather valuable. State and regional environmental laws are strict and require shops to ship old, leaky batteries back the manufacturer for proper disposal. So regardless of the age or condition, your battery will be disposed of correctly. 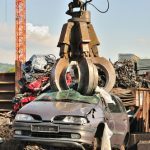 But if it’s in good or new condition, it can add to the scrap value of your car. Copper is an extremely valuable metal to any type of scrap yard because it has so many uses. It’s also readily found in junk cars. Potential components containing copper include radiators, starters, alternators, moving engine parts, and wiring. Aluminum, on the other hand, is the lightest and cheapest metal. However, it’s a major material in modern vehicles. Aluminum is now used in place of iron in parts such as radiators, engines, cylinder heads, pistons, and wheel rims. So enough of these two metals can help create quite a bit of pocket change from the right scrap yard in Detroit. Steel or steel alloy accounts for approximately 65% of the materials used in vehicle manufacturing. Steel is relatively heavy, but it’s durable, rust-resistant, and reusable. Steel car components include the body, chassis, and wheels. Iron is an extremely heavy metal that’s exceptionally durable but isn’t used much in modern car manufacturing. However, iron can be found in engine parts of older junk cars. 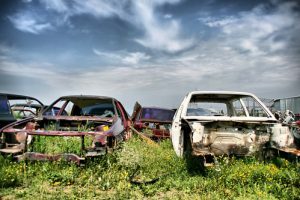 So How Much Can Your Junk Car Be Worth to the Right Scrap Dealer in Detroit? The better condition your junk car is in, the more money you’ll make via scrap. 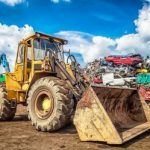 After all, rust simply disintegrates under the weight of the crusher, but clean metal is easily reused and therefore much more valuable. If the materials of your junk car are in decent condition, you can walk away with as extra cash in your pocket. But don’t wait too long to call Junk My Car Detroit because industry values can change on a dime.